Broad City Babes! Inspirations! Queens! Icons! Idols! Ilana Glazer wearing our Single Calypso Drop earring in peach. Styled by Rachel Gilman. Nordstrom Memphis Milano Pop In! 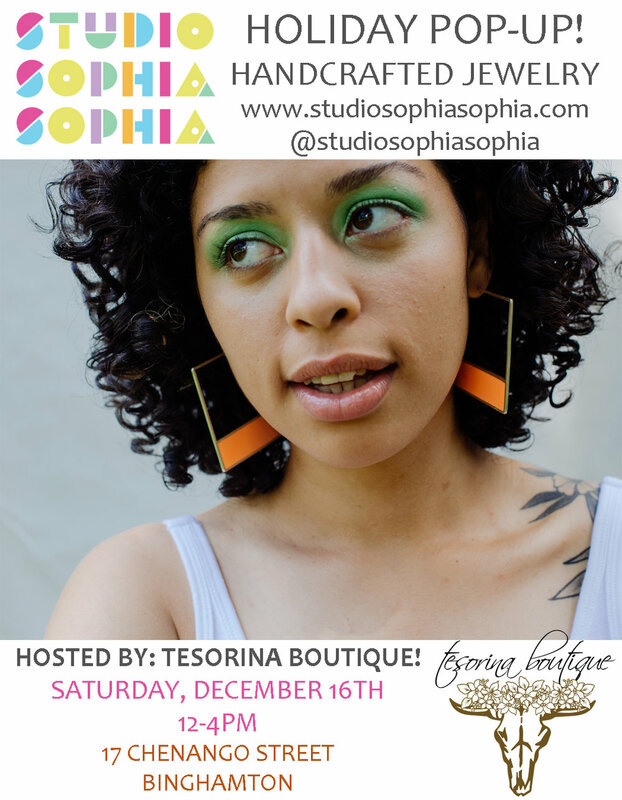 Pop-Up at Tesorina, December 16th! Don't miss our only local holiday pop-up at Tesorina in downtown Binghamton! 17 Chenango Street, Saturday, December 16th, 12-4! 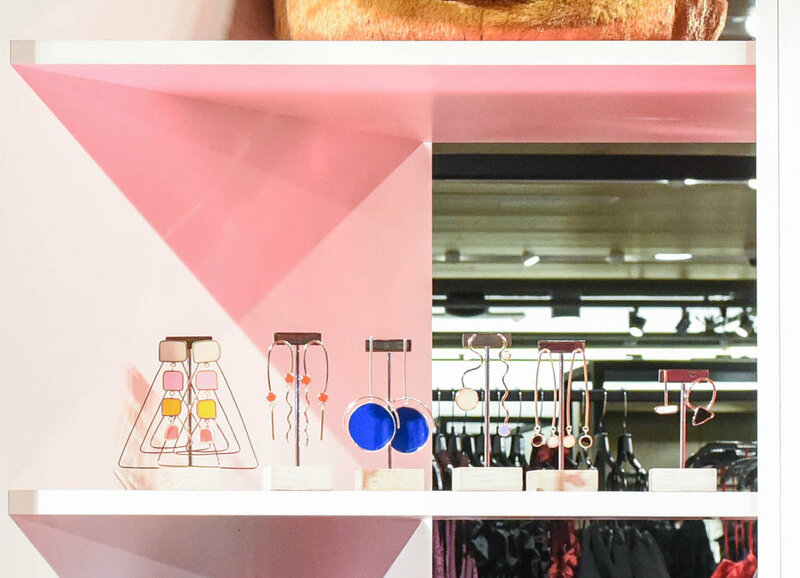 Nordstrom Holiday Pop-In featuring MoMA Design Store! I'm so excited to be included in the Nordstrom Holiday Pop-In featuring MoMA Design Store this year! Get more info here: Pop-IN. 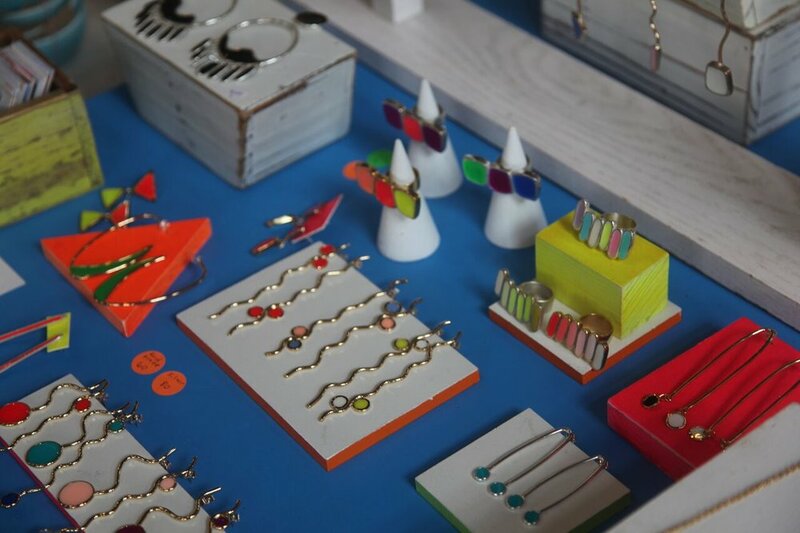 Dots earrings spotted in Mod Magazine! Courtesy of Katie Freedle from Backtalk! I'm really diggin' your vibe!! Spotted in Elle Vietnam February 2017 issue. Styled by Rachel Gilman. StudioSophiaSophia spotted in Elle Vietnam, styled by Rachel Gilman. "Prism Dancer," "Triple Threat" rings and a solo "Late Night" earring featured. In company with Versace, Missoni and Louis Vuitton !! Local Holiday Pop-Ups in Binghamton!